What is the cause of the blank SD card error? 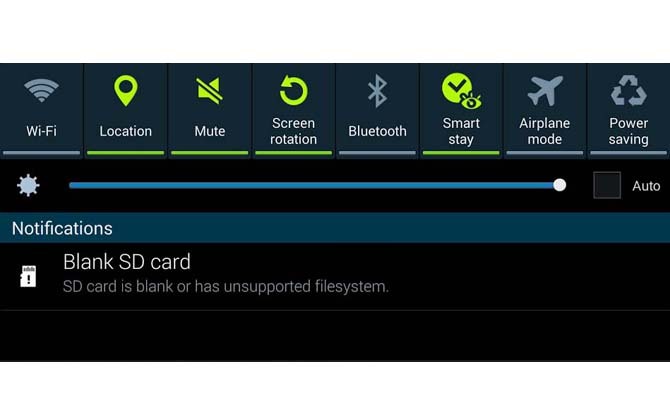 The SD card blank error message "SD card blank or have some unsupported filesystem" appears on the user's computer because the SD card is corrupted (unreadable), damaged or the card contains an unknown folder belonging to another application that is not currently installed. When you look at this error, it will prompt again: "Are you sure you want to format the SD card?" You may be confused about how to fix a blank SD card without losing data. Can't access your data due to a blank SD card error? This article provides a complete blank SD card recovery solution that shows you how to fix a blank SD card and recover data in a few simple steps. When a blank SD card error occurs on your phone or tablet, remove the SD card and insert it into your computer to see if it can still be read. If so, an error may occur because the card's file system is not supported by the mobile device. Then you only need to back up the SD card data and then format it with the FAT32 file system. If your computer can't read your SD card in step 1, it may be damaged or damaged, then just go to step 2 - use chkdsk to fix blank SD card error, this is the most common way to repair damaged SD card Here is the guide. 1. Connect the blank SD card to the PC via the card reader and make sure the machine detects it. 2. Run CMD as an administrator and enter chkdsk n:/f (n is the drive letter of the blank SD card) to fix the error. 3. Put the SD card back in the phone and check if the card is working properly. Step 3: Repair the blank SD card and recover the data using Rcysoft Data Recovery Software. Connect the blank SD card to the PC, start Rcysoft data recovery software, click "Deep Scan" recovery mode, select the card and click the "Scan" button to start the blank SD card recovery operation. After the scan is complete, preview and select the desired file. Finally, click the "Save" button to retrieve them from the blank SD card. Tip: After restoring all files from a blank SD card, you can format the SD card to fix a blank SD card error. It will make the card reusable.